Steven Pace is the President and CEO of AIN and has been in that position for 20 years. He has a Master of Science in Social Work Degree (MSSW) from UTA and was licensed by the state of Texas as Licensed Master Social Worker (LMSW). His education also includes a Bachelor of Social Work degree, as well as business management, extensive pastoral and theological education with ordination as Clergy and license to practice both nationally and internationally. 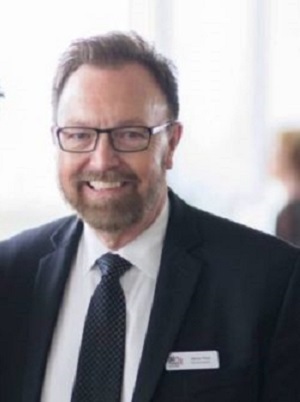 He has worked with HIV/AIDS for over 36 years in the Dallas metropolitan area and has been in leadership in the HIV, LGBT, and Dallas metropolitan communities during that time. He provides both leadership and management of AIN, and is a leader in collaborations with several organizations. Steven helped initiate several different HIV/AIDS service organizations, and has been instrumental in helping develop the Dallas and North Texas area network of health care and support services that make up the current continuum of HIV prevention and care. He has raised millions of dollars of funding for HIV/AIDS care and prevention programs, and continues to help ensure the evolution of services in this region. Under his leadership, thousands of persons living with HIV receive healthcare, support services, treatment and prevention, and tens of thousands of at-risk people receive HIV, STI, and health education, testing, and linkage to care. Joni Wysocki is the Chief Operating Officer at AIN and has been employed with the organization since 2016, recently being promoted from Director of HIV Services. She has a Master of Science in Criminal Justice Administration degree from Tiffin University in Ohio. 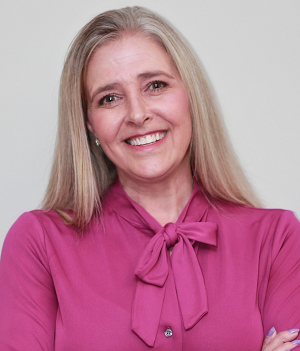 Joni’s education includes a Bachelor of Science degree in Criminal Justice, as well as an Associate of Science in Correctional Technology degree, both from the University of Toledo. During her career with Lucas County, Ohio she supervised thousands of offenders convicted of felony offenses and empowered them to seek real change in their lives. Joni created a Job Readiness Program to equip clients with the necessary skills to secure meaningful employment and facilitated a weekly relationship program, aimed at repairing or initiating positive relationships with the client’s children and the co-parent. She was instrumental in the development of a Fatherhood Initiatives Program that increased the payment of child support arrearage by more than 64%, for clients that participated in the program. Joni volunteered with various social service organizations in Ohio and Texas, promoting social justice and community education initiatives. She also served as a Guest Speaker at the University of Toledo, The Senior Source, Lourdes College, and Lucas County Job and Family Services. Joni worked in social support services for more than 25 years before joining AIN, where she is currently responsible for the day-to-day program operations. These programs include Medical Transportation, Case Management, Medical Case Management, Client Services, and Linguistic Services. In 2016 Joni assisted in implementing the return of Case Management services at AIN, with the goal of increasing linkage and retention in care for people living with HIV in the Dallas Metropolitan area. She also oversees the Daire Wellness Center which includes Respite Care and a Nutrition/Meals Program.